Nepal Trekking Insurance – Better Prepared Than Sorry! Trekking Insurance – Better Prepared Than Sorry! In this article, we provide detail information about Trekking Insurance and travel. Travel Insurance is very important while you are traveling abroad. Safety is the main concern so we want you to travel without any worry. Hence, getting Travel Insurance is compulsory before joining any of our trips. In case of unexpected events that might impact on your travel plans, purchasing travel insurance will help you to protect yourself from those accidents. From the cancellation of your trip to medical and evacuation services through air ambulance or helicopter, there are varieties of insurance policies that you can purchase and it is equally important to understand what your insurance company will cover and what they don’t. You and your Travel insurance company must be aware of detail itinerary and information regarding your trip which helps you to select your right Insurance plan. 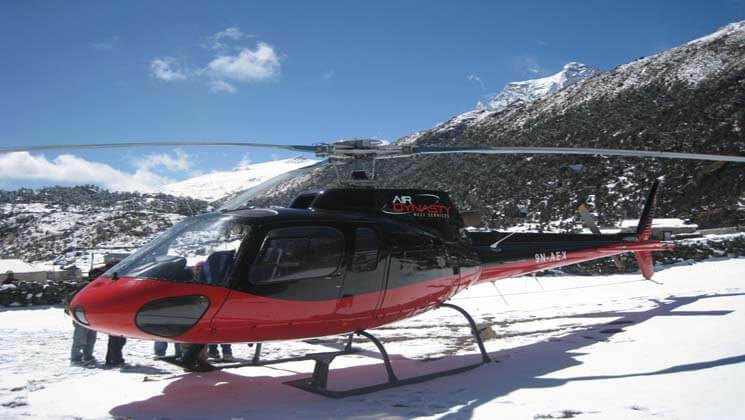 While trekking and hiking at high altitudes, we recommend you to purchase a good insurance policy cover helicopter rescue and medical treatment expenses, whereas while traveling to Tibet the rescue and evacuation are only operated through road transport. So, helicopter rescue can be avoided in this case. Please send us your copy of Insurance policy and or simply carry along with you during your visit. Also please be noted that we don’t sell or arrange any type of Travel Insurance Plan for our guest. But we can always suggest to you some of the Travel Insurance companies that our clients have used and are recommended to others too. Are you looking to undertake trekking or peak climbing activities in Nepal Himalayas?. Or mountaineering activities (i.e. climbing with ropes, crampons or ice axes) should refer to specialist insurance like the British Mountaineering Club. Please remember to read the small print on all policies before purchasing. Find the sample screenshots below. Have in mind that we are not trekking insurance experts. The information provided below is based on our personal experience as well as from recommendations from other trekkers. Please seek professional insurance advice if you are uncertain of any policy wording or limitations. Those recommended Insurance Companies are as given here.